Thu 19 Oct 2017 – “Plastics Oceans” workshop invitation @ St. John’s Island National Marine Laboratory. Sign up to attend here: http://tinyurl.com/tmsi-marineplastics. Transport by boat provided. 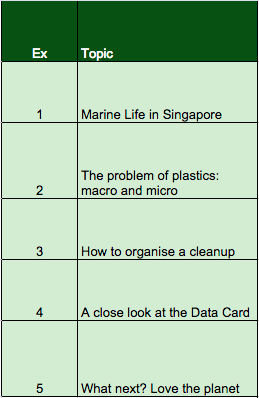 You can read the abstracts at the workshop home page at http://sjinml.nus.edu.sg/workshop-invitation-plastic-oceans/. 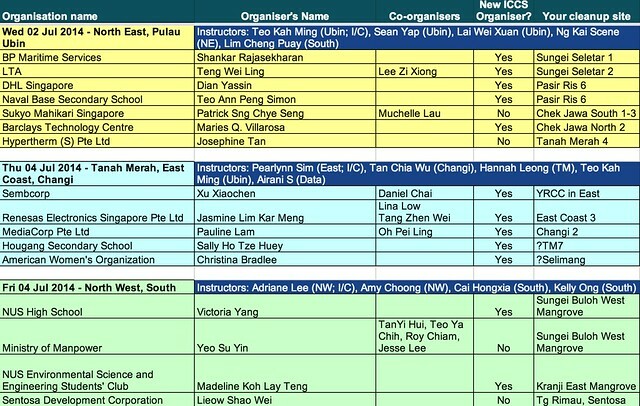 The invitation to the 2016 International Coastal Cleanup Singapore Workshop for Organisers has been emailed to the 78 organisers who registered for the cleanup in September. 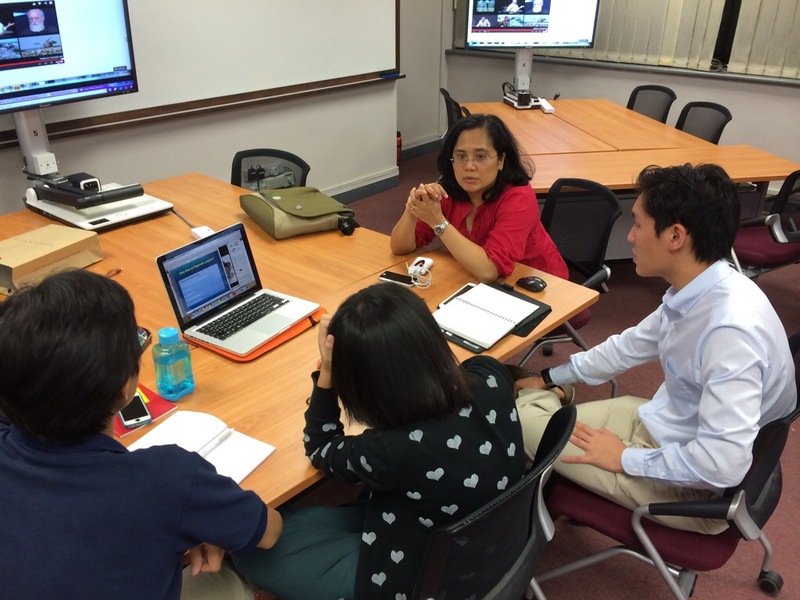 The venue is the Department of Biological Sciences at National University of Singapore. This workshops are organised to update and equip Organisers with information and strategies for running a safe, effective, educational and green event. 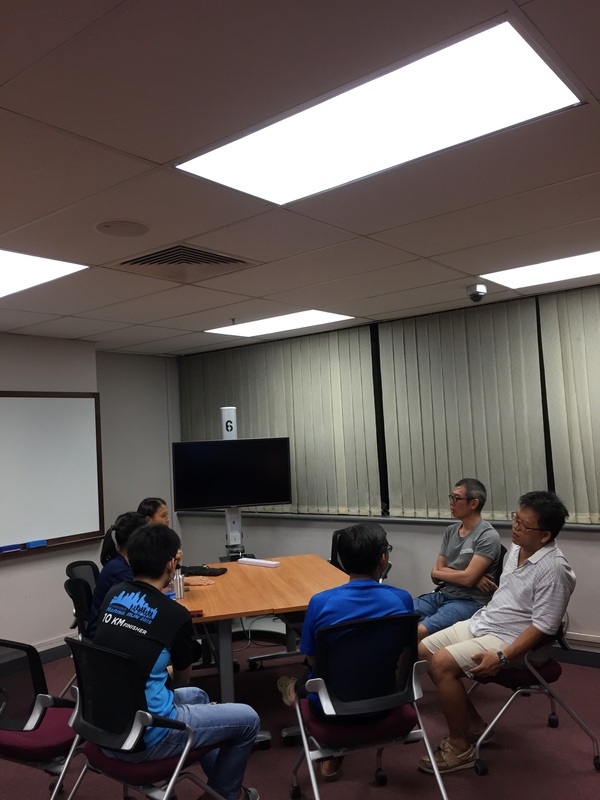 We will conduct this on weekday nights next week (13-15 Jul 2016) in a small-group environment to enhance learning, facilitate the asking of questions and sharing of experiences. 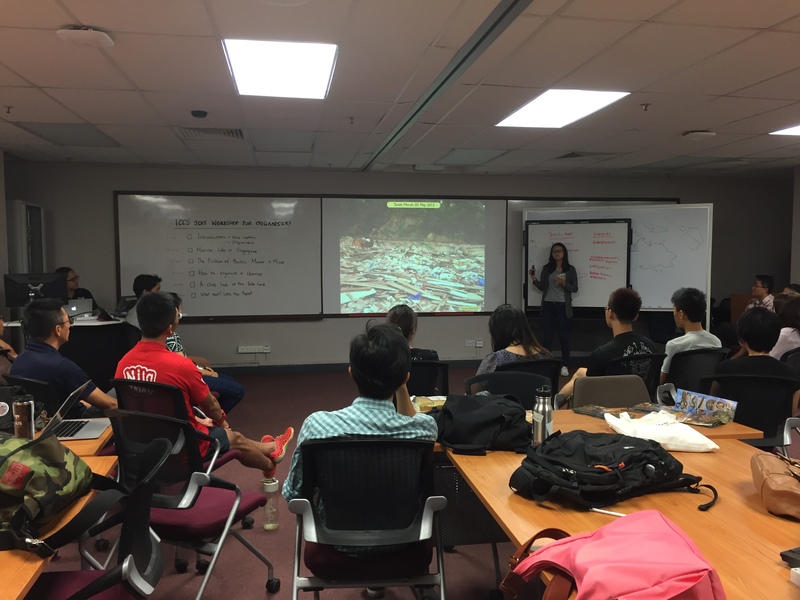 ICCS 2015 Organisers’ Workshops: Why and how do we conduct coastal cleanups? 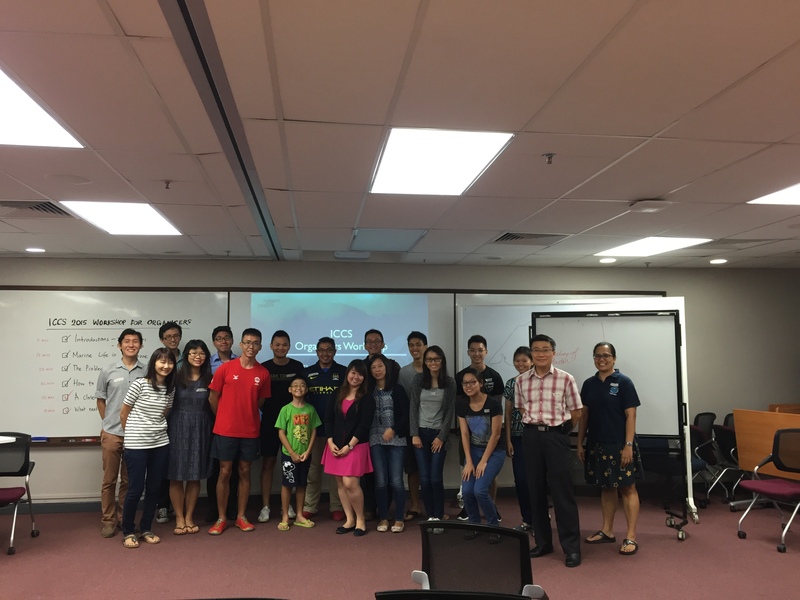 1 – 3 July 2015: 7.00pm-9.30pm @ NUS Faculty of Science Active Learning Room [S16-03] — 42 ICCS Organisers attended the 2015 workshops to learn more about why and how to organise coastal cleanups. Three consecutive nights of 150-min workshops conducted by 6–8 zone captains each night ensured small group interaction and adequate attention especially for the first-time organisers. 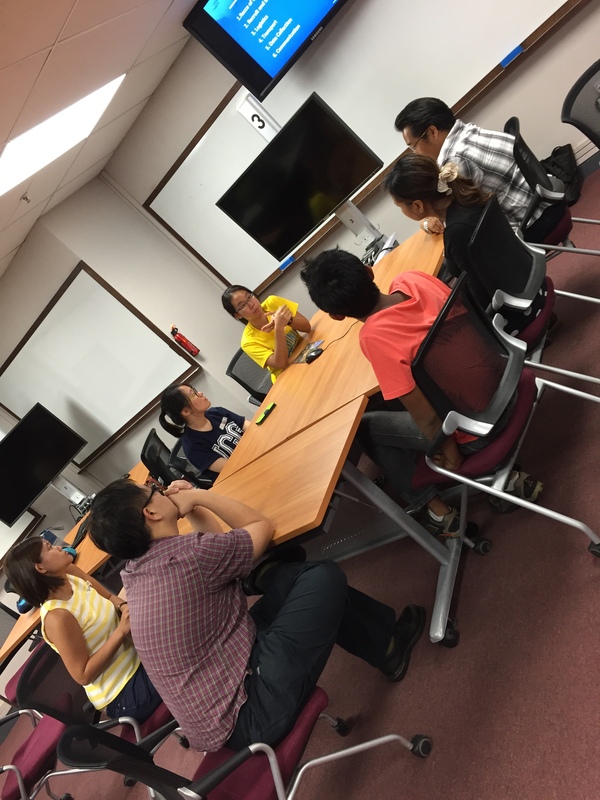 At the last Site Allocation Meeting (SAX3), ICCS Otters discussed the design of the workshop. N. Sivasothi aka Otterman reorganised workshop slides for brevity and adjusted session design to increase interaction. Zone Captains, some new at instruction, prepared their lesson plan based on this format to ready themselves for action! 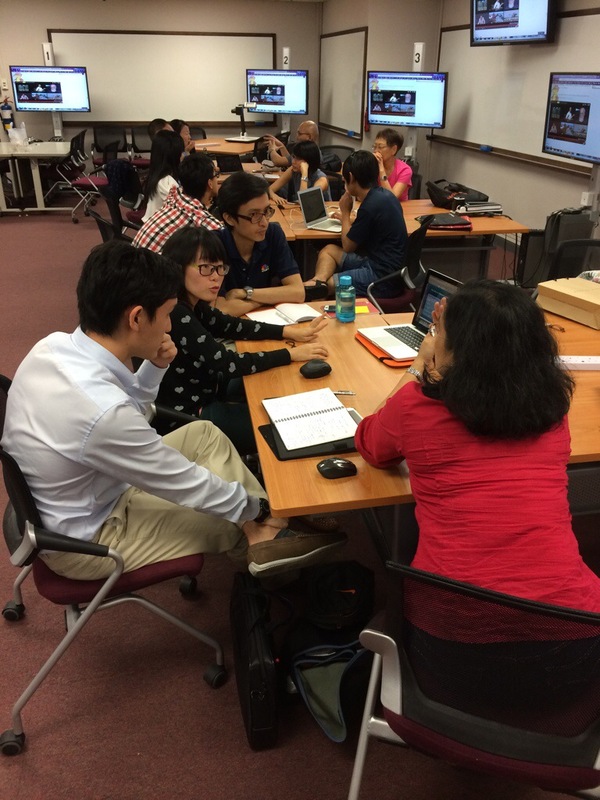 The workshop format also ensured Organisers had plenty of time to clarify queries. Each day began with an introduction into local marine biodiversity and the impact of marine trash. Despite a history of reclamation at out shores and a busy shipping port, Singapore has six different aquatic ecosystems and much marine life whic has survived this impact. Knowledge of our marine life motivates us to conduct coastal cleanups, as we realise otherwise that many animals such as sea turtles and horseshoe crabs ingest plastic, or get entangled in trash. 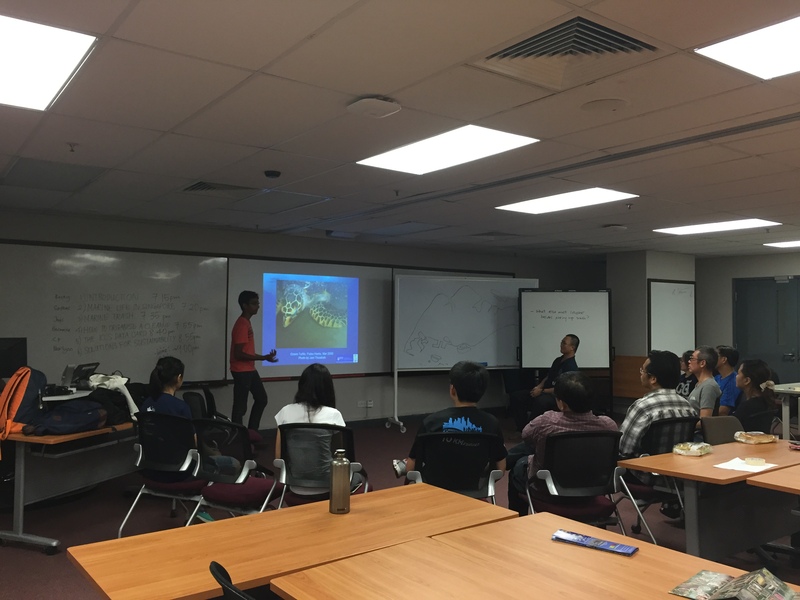 Left: Sankar A, Ubin Zone Captain shares about the Hawksbill Sea Turtle (Eretmochelys imbricata). Right: Joys Tan, Tanah Merah Zone Captain reveals what non-recreational beaches in Singapore actually look like. 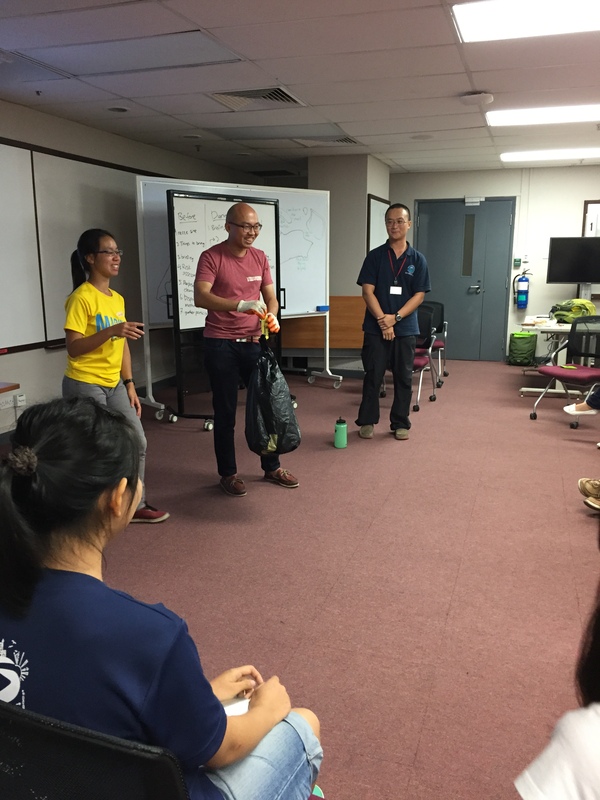 Left: Tan Chia Wu, Changi Zone Captain talks about the organisational process behind a conducting coastal cleanup. Right: Airani S, Data Captain runs through the ICCS Data Card, familiarising everyone with the different categories. 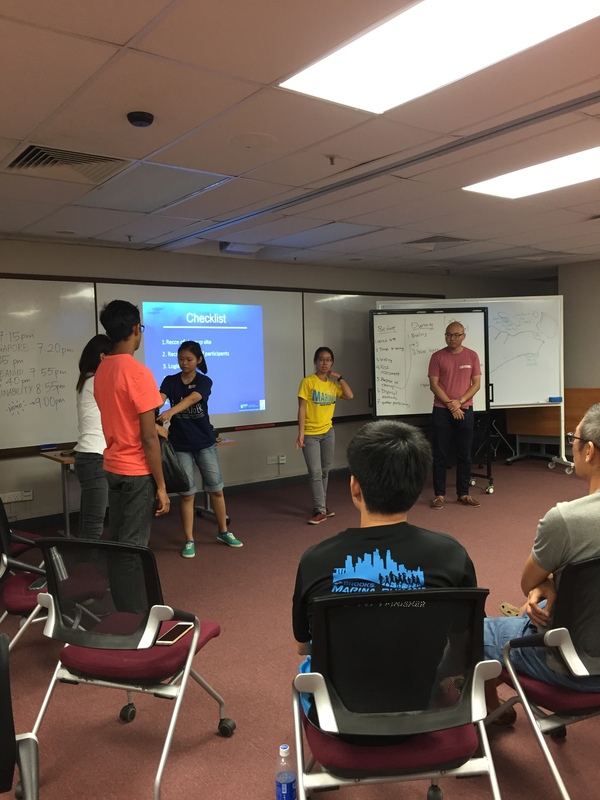 The group break-out sessions were extremely helpful, providing first-time organisers the opportunity to consult our Zone Captains, as well as the more experienced organisers who imparted useful advice! Our Zone Captains also role-played – here, they demonstrated the human-chain – an effective method in transferring heavy trash bags from the cleanup site to the Trash Collection Point (TCP). 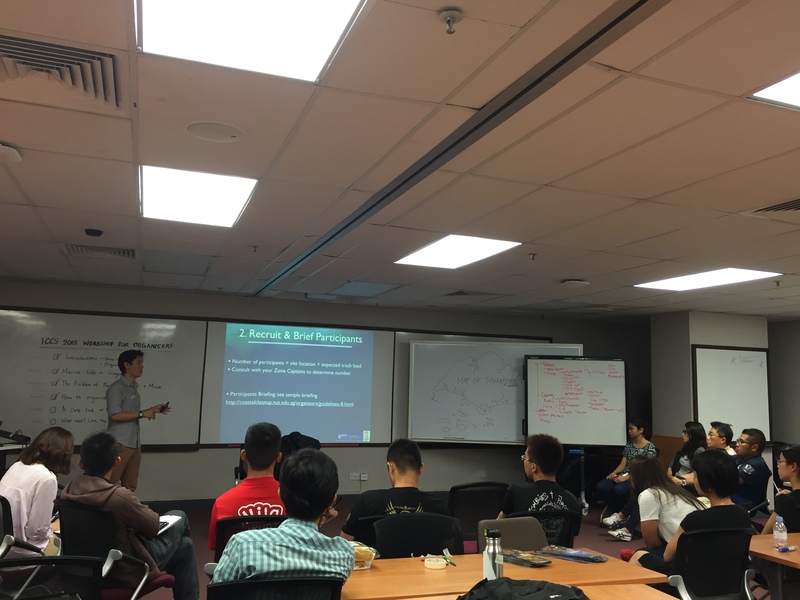 We ended each day with a very important chapter – solutions for sustainability after the coastal cleanup. Cleanup events are very importantly about education. The exposure iotaof participants to the reality of marine trash must be coupled with useful ideas about daily life – thinking about the necessity of disposable water bottles or recycling. Next up for ICCS Organisers are their site recces. 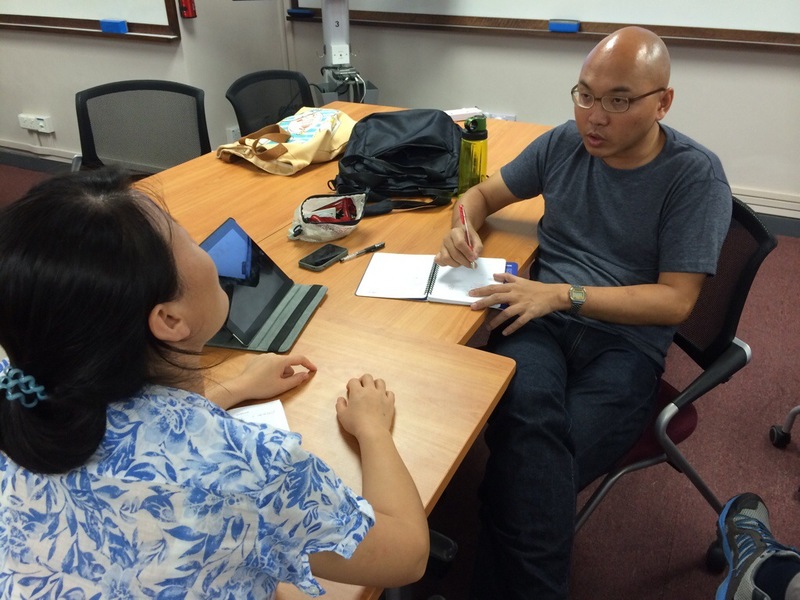 ICCS 2015 is picking up speed! 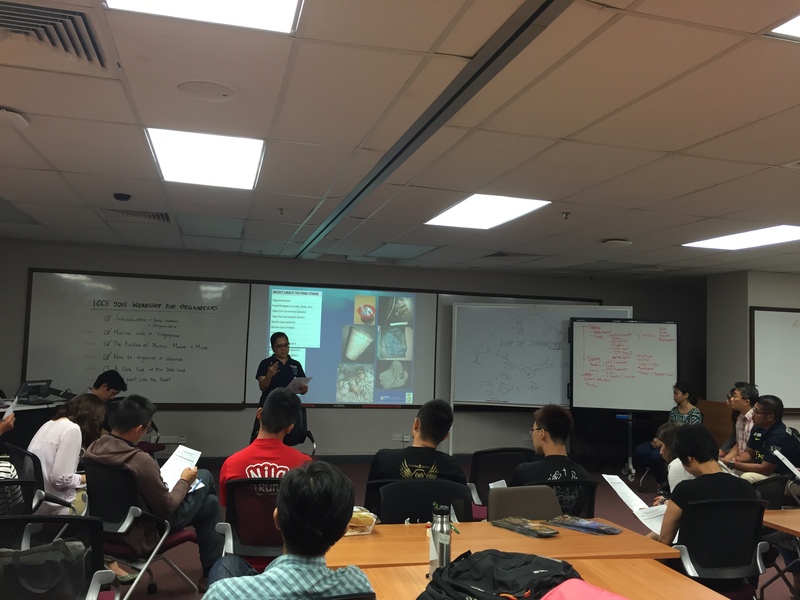 Zone Captains are great at the operational procedures necessary to organise an International Coastal Cleanup event. 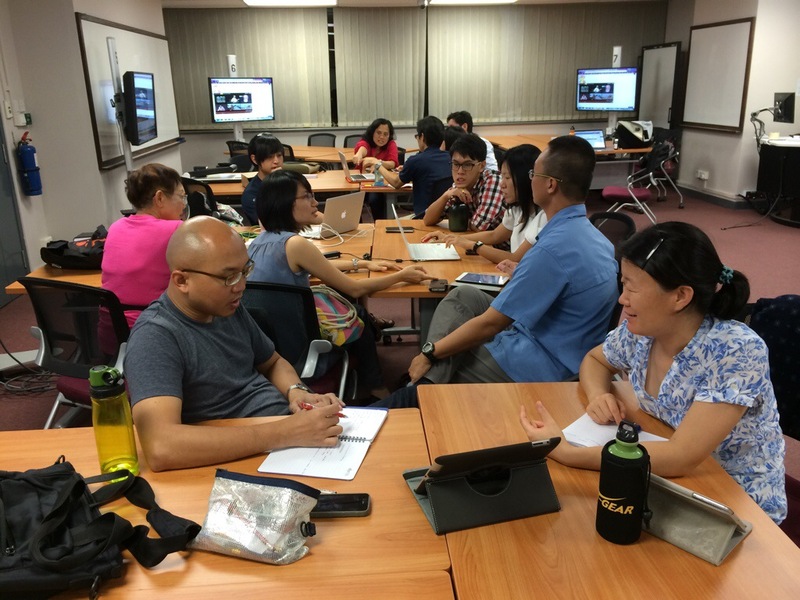 During the ICCS Workshops in July, they clarify burning questions Organisers ask in detail. this is also a time when they meet their Zone Captains with whom they will conduct recce in the weeks ahead before September. This year the invitation emphasised new Organisers, to keep the number of participants low enough to ensure adequate attention for those who attend the sessions. Right now we have less than 12 Organisers per session, with 4-6 Zone Captains in attendance as instructors. 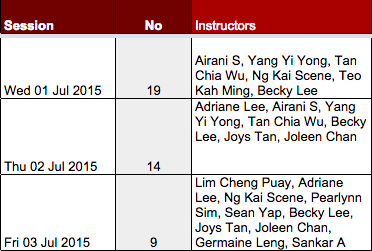 For the first time this year, ICCS Zone Captains will be conducting the workshop in its entirety. 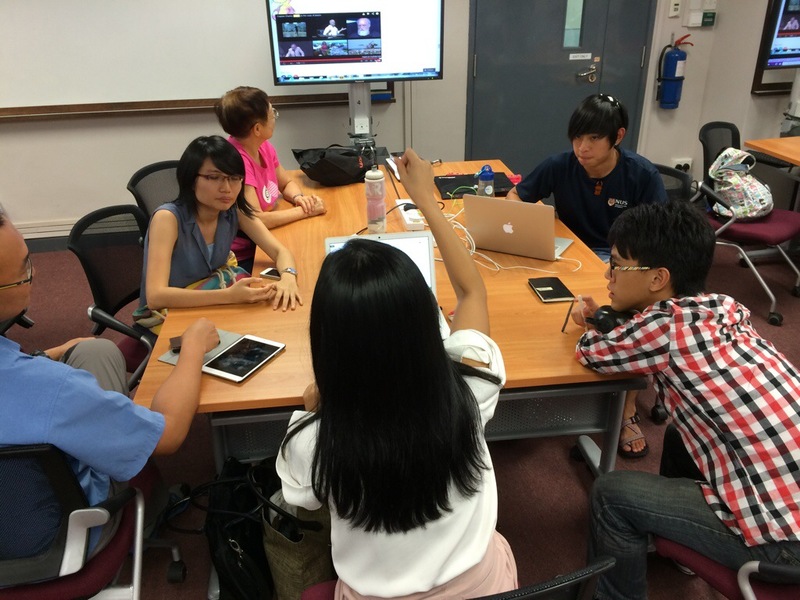 Three teams have formed to cater to three days of workshops. They have a central syllabus but will plot a lively agenda for each day. New ideas have emerged to enhance communication and I am looking forward to seeing the new techniques to enhance Organiser preparation for a safe and efficient cleanup this year!